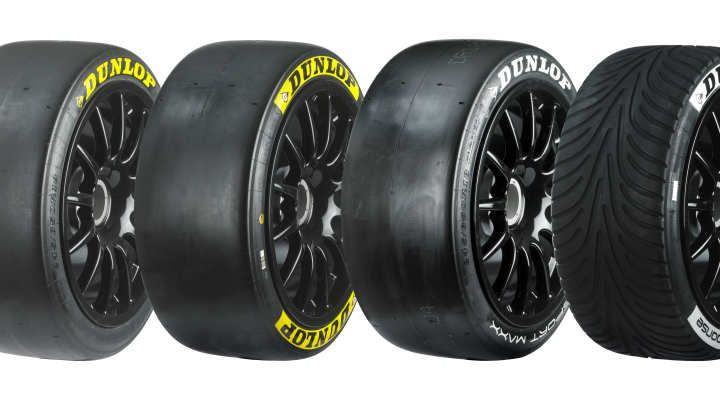 Dunlop has announced that it will supply a new specification tyre construction to the 2014 Dunlop MSA British Touring Car Championship. The new construction will be used on all BTCC dry weather tyres, including the new Dunlop Sport Maxx Soft, Medium and Hard variants that were introduced for the 2013 season. The compound for each of these tyres will not change, but the new construction has been introduced to offer improved driver feedback and confidence across the whole range of tyres. Dunlop undertake development work in GT racing, particularly in endurance racing championships that allow tyre competition. In this arena, where Dunlop were the choice of winners of the 2012 European Le Mans Series and 2013 Nurburgring 24 Hours, Dunlop are able to test different solutions across a wide range of weather conditions and distances. The new BTCC construction includes learnings from Dunlop’s successful GT range. The new tyres feature a more pliable construction which maintains Dunlop’s trademark durability but gives better feedback to the driver, particularly under heavy braking and in corner sequences that call for rapid directional changes. The new construction means that drivers are able to gain a more accurate feel, particularly during turn-in to fast corners. “Although we are a single-brand tyre supplier, we are driven to continually improve the product. Over the last few years, we have introduced several new developments, including Radio Frequency Indentification Tags, the Harder ‘Thruxton’ tyre, the new sizes for NGTC specification cars and, last year, the range of Soft, Medium and Hard Sport Maxx tyres. We are continually looking to improve performance and durability, even in a championship where every competitor has the same tyres. ” stated Michael Butler, Car Motorsport Sales and Product Manager. One of the by-products of the new construction is that it is expected to amplify the performance difference between the existing Sport Maxx Soft and Medium compounds which are available at all circuits except Thruxton, where only the unique, circuit-specific, Sport Maxx Hard is used. “The new construction will work the compound harder, and we expect that teams will see a greater difference in race pace between the two tyre choices, depending on the temperatures and circuits. Testing has shown that the Sport Maxx Soft and Medium tires have quite different optimum operating windows, so this will put more focus on the strategic choices for the teams. They must use the Sport Maxx Soft Tyre in one of the three races at each event, apart from Thruxton” added Michael. The compounds used for the BTCC are taken from the softer end of Dunlop’s successful endurance range. “Very few endurance racing series allow the use of super-soft qualifying tyres, so even the softest tyres are designed for full-length stints during the race. That means it needs to be consistent over that time rather than giving you pace for a couple of laps then degrading. There will be phases where the soft tyre is the best choice and phases where the medium tyre will work best” explained Michael. The introduction of the Soft option was a major talking point with teams in 2013. As the season progressed the teams found more opportunities to exploit the soft tyre. In the first part of last year, as teams began to learn about the tyre, most chose to run it during the final race of the day. However, in the second half of the season, there was more variety in the teams’ strategies. Significantly, in high temperatures at Snetterton in August two of the three races were won on the soft tyre for the first time and drivers on the Soft tyre were regularly registering their fastest laps in the final laps.